Whatsapp is the most used messenger app in the world. Whatsapp is more popular than other social media apps like Facebook, Twitter, Linkedin. The mobile chatting app Whatsapp was created 5 years ago, and has become very popular with 700 million active users every day. Officially, WhatsApp is overtaking Facebook Messenger and is widely used in many markets for business. 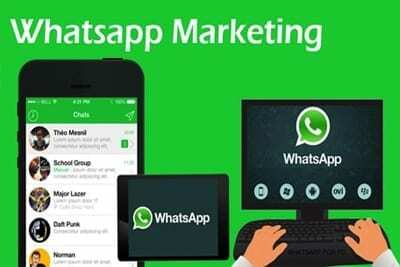 In the marketing industry, Whatsapp Marketing is rocking with 3 billion active users. Nowadays, everyone knows how to use Whatsapp, as we can share unlimited messages, pictures, videos, audio messages for free and join unlimited WhatsApp group and keep Whatsapp group names ideas according to Yourself. Whatsapp is very helpful for the marketers as there is no ads, no media to buy. The main thing about Whatsapp is you can’t message the consumer whom you don’t know. The Consumer needs to invite you to be in contact with them. 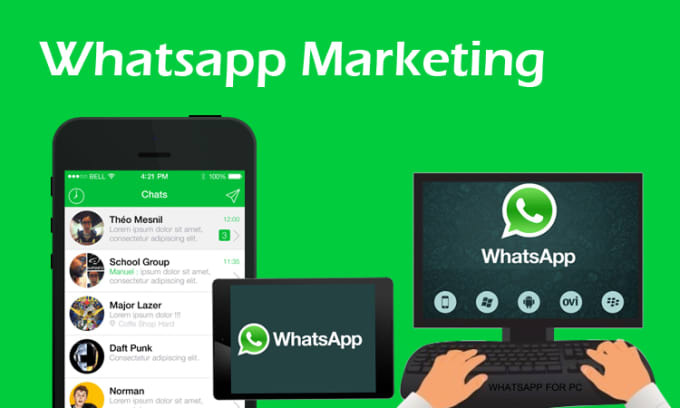 Each and every marketer needs to know the Whatsapp Marketing Strategies, which helps you to grow your sales. So, here we have brought the Best Whatsapp Marketing Strategies which will be helpful for you in your business. Before we get into the detail, let us see why it is important? Reasons why Whatsapp Marketing helps in sales. You can send multimedia Images, audios, videos, ebooks, etc. to all your contacts. The feature broadcast helps you to send the message to more peoples at a time. Messages won’t get lost. There is an offline message alert which allows the user when the message is waiting. Before you start, there are few things which you need to know about creating Whatsapp Marketing strategy for your business. You can connect with your customers in three ways, Personal Messages, Broadcast list and Group Chat. Personal Messages, takes too much time, especially if you have a large following. This messages will be helpful after the sale has been made. This is very good and it also saves a lot of time. As you can make one group of each sale and send all the important things in the group itself. All the customers will get your message at once. It allows you to send a group message to everyone on the list. But, the members can’t see each other message and also the replies. Broadcast lists is the best option for the marketers to connect with customers. It has many features which benefit your company and improves your marketing. Other apps do not have these features. The audience is very busy, so make a deeper connection with the audience. Whatsapp Marketing is relatively new. You don’t need to promote your posts to increase your followers as we do on Facebook and Twitter. Broadcast lists are also limited to only 256 people.